" My goal is for patients to understand that they have a choice and can have most, if not all, cosmetic procedures under local anesthesia. I hope that more fellow colleagues will be open-minded enough to give this approach a chance. 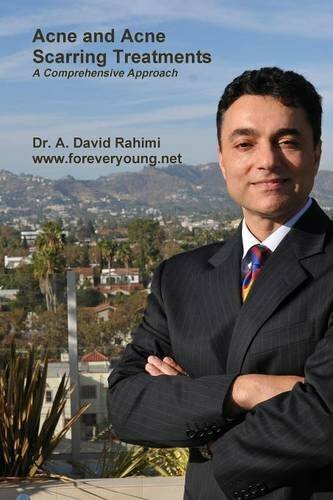 Please read the book and I look forward to discussing how I can help you achieve your health and cosmetic goals. " The future is here with new technology in skin resurfacing with the MiXto SX®. 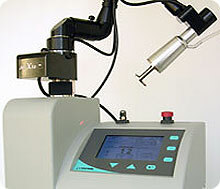 Combining the effectiveness of Carbon Dioxide lasers long known to be the GOLD STANDARD in wrinkle removal with an innovative "quadrant" fractional technology and a more tightly focused beam, the MiXto SX® laser delivers uniform tissue ablation to the dermis causing contraction and tissue tightening. A secondary effect is the production of new collagen over the next 6-12 weeks. This advanced technology delivers powerful results without the harsh side effects and downtime of traditional CO2 resurfacing. Reduced discomfort with topical anesthetic possible reduced downtime (5-7 days) Softening of fine lines and wrinkles Removal of age and sun spots Treatment of Acne scarring New collagen production for up to one year following treatment. After a free 30-minute consultation to determine which procedure will be right for you, the treatment will last between 30 minutes and 1 hour. CO2 is a carbon Dioxide laser that has been used for more than 25 years in the Aesthetic industry for treatment of conditions such as fine and deep wrinkles, scars of various origin, uneven pigmentation and dilated pores. When the CO2 beam of light comes in contact with the epidermis it heats and vaporizes the skin tissue, instantly removing the superficial layers of the skin, scars and wrinkles while smoothing out the surface of the skin. The skin remodeling occurs with new skin and collagen growth. MiXto SX stands for the Mixture between CO2 energy and fractional resurfacing, the SX stand for surgical because the Laser can also be used to make a very clean incision without bleeding. Erythema (redness of skin); the laser-treated areas have a distinctive redness representing increased blood flow due to the growth of the superficial tissue and collagen. It will gradually fade during the first few days. Inflammation (swelling); Treatment with the MiXto System presents a minimal amount of swelling that can last up to 24 hours. Hyperpigmentation (tanning); This is presented after the third day of the procedure but then begins to shed and reveal younger healthy looking skin. A personal interview and clinical examination will be conducted to obtain relevant facts about your medical and dermatologic history, and any medications you are currently taking or have taken in the past. If you are prone to cold sores, you need to ask your doctor for an antivirius prescription before the treatment.Fractional Treatment with the MiXto SX has been proven safe for the face, neck, chest and hands. The downtime will be between 1 day and 2 weeks, depending on the patient and procedure. When we are doing the procedure you can sometime see the skin contract and shrink. The patient will really see the benefits by the time the skin is completely peeled and will continue to see results for up to six months with new collagen regeneration that “plumps” up the skin. MiXto treatments are generally under $3000.00 for a one-time full-face neck treatment.